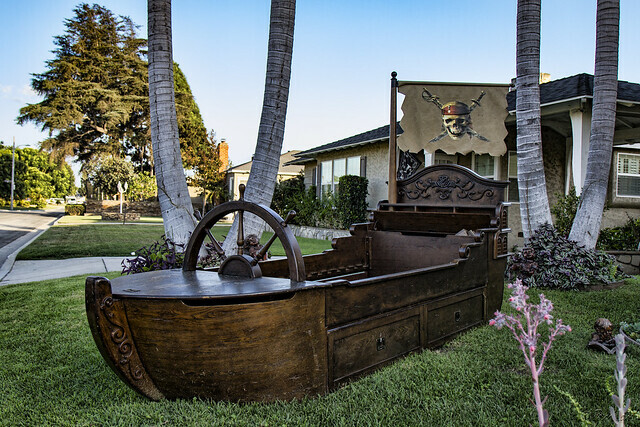 Downey Daily Photos: Avast ye! On a walk the other day, I discovered this pirate ship. I don't know if it's there just for the Halloween season, or if it's a permanent addition to the neighborhood. But in any case, I can't stop thinking of pirates—and Johnny Depp.